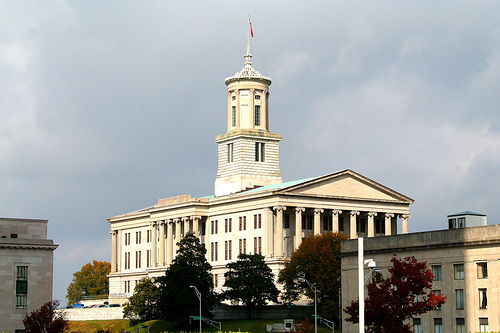 Tennessee has just passed a bill that would criminalize the sharing of account information for entertainment subscription services such as Netflix and Rhapsody. Reports by Ars Technica, CNET, and the Tennessean, offer a picture of what one could expect from the implementation of the law. The new law builds off of existing laws that prosecute people for stealing services such as cable, utilities, or meals at a restaurant. It is supposed to take aim at those that share or sell their account info to groups of people, although no one has ruled out that it may also be used to prosecute those who share with family or even their significant other. According to the to the Recording Industry Association of America Tennessee would become the first state to update its “theft-of-cable” laws for the 21st century and address the new trend toward Internet delivery of entertainment. According to the Tennessean the penalties of the new law are as follows: Stealing $500 or less of entertainment would be a misdemeanor punishable by up to one year in jail and a fine of $2,500. Theft with a higher price tag would be a felony, with heavier penalties. Speaking with Ars Jerry Brito, a scholar at the Mercatus Center at George Mason University believes the law is a step in the right direction and that the fact that “this is a tweak to an existing law” is hopeful that prosecutors will behave sensibly. The law is due to take effect on July 1.